— John Jay, The Federalist Papers September 17, 1787. — James Madison, The Federalist Papers. The paramount measure of national power is military capability. Today, countries endure in an environment where internal and external threats to security are both common and ever-present; the effectiveness of the coercive arm becomes the ultimate criteria of power. Capable military’s enable countries to defend themselves against all adversaries, foreign and domestic, while at the same time enabling the government to pursue and protect whatever interests they value, if necessary, over and against the preferences of other competing entities. It would thus be axiomatic that the ability of a military force to successfully prosecute a variety of operations against the countries adversaries will be the ultimate “output” of national power. However, whether a force is in fact capable of overwhelming these adversaries will require an analysis of the balance of power, the circumstances under which the engagement occurs, and the relevant constraints and objectives that influence the overall conflagration between the two sides and the Political Will to see it through. National power has many components, some tangible, like economic wealth and technical pre-eminence. Other components are intangible – such as moral force, or strong national will. Military forces, when they are strong and ready and modern, are a credible – and tangible – addition to other elements of a nation’s power. When both the intangible national will and those forces are forged into one instrument, national power becomes effective. The idea of military capability as the symbol of national power is linked to the understanding that a country’s military organizations receive national resources and transform them into desired warfighting capabilities. Of all the many policies the citizens of a country need to understand, is the use of military power. Deterrence will work only if the adversaries’ understand the nation’s firm commitment to keeping the peace and a well-informed public that can be expected to stand solidly behind its government decision. The first American President, George Washington, enunciated a policy of peace through strength in his fifth annual message to Congress, the 1793 State of the Union Address. He said: “There is a rank due to the United States among nations which will be withheld, if not absolutely lost, by the reputation of weakness. If we desire to avoid insult, we must be able to repel it; if we desire to secure peace, one of the most powerful instruments of our rising prosperity; it must be known that we are at all times ready for war.” The old truism holds good – a strong military is the best guarantee for peace. Peace through strength or if that failed, peace through threat. Alexander Hamilton, writing in the Federalist Papers (September 1787), said that – “it is impossible to foresee or define the extent and variety of national exigencies, or the correspondent extent and variety of the means which may be necessary to satisfy them”. If it was true then one can fathom the complexity of the geopolitical and strategic environment now. Most leaders today often mention of the complex and dynamic geostrategic environment prevailing. Countries are faced with serious indirect challenges to the peace in a spectrum from border wars to proxy wars onto individual terrorist action. While the use of military force to defend territory has never been questioned when a democracy has been attacked and its very survival threatened, most democracies have rejected the unilateral aggressive use of force to invade, conquer or subjugate other nations. The extent to which the use of force is acceptable remains unresolved for the host of other situations which fall between these extremes of defensive and aggressive use of force. As India faces a full spectrum of threats – from covert aggression, terrorism, and subversion, to overt intimidation, to use of massive force – choosing the appropriate level of response is difficult. Flexible response does not mean just any response is appropriate. But once a decision to employ some degree of force has been made, and the purpose clarified, our government must give the clear mandate to carry out, and continue to carry out, that decision until the purpose has been achieved. That has been most difficult to accomplish. The idea of military capability as the symbol of national power is linked to the understanding that a country’s military organizations receive national resources and transform them into desired warfighting capabilities. The warfighting capabilities so generated must be effective to the degree that they enable a country’s leaders to protect and pursue the national interests by imposing their will on enemies, existing and potential. Thus, the larger logical framework developed for examining national power can be applied in examining how military establishments utilise these resources to generate effective military power. Put simply, the question is, “What resources does the military get, and how successfully can they be transformed into effective military power?” Military effectiveness thus becomes the outcome of the resources provided to the military and its capability to transform these resources into effective warfighting capability. A country may provide its military with generous budgets and large cadres of manpower, but if the military’s doctrine is misguided, the training ineffective, the leadership unschooled, or the organization inappropriate, military capability will suffer. Any consideration of a country’s military capabilities or its military prowess will be contingent on the resources that the national leadership makes available to the military – financial, human, physical, technological (and psychological!!). Future Infantry actions at tactical levels, with mission-type orders, will require leaders who are physically very fit with an agile, incisive and innovative mind to successfully lead and conduct small team operations. Just adding numbers is not a worthy solution. The size of the defence budget is, in principle, the general single measure of a national resource provided by the government. The defence budget, per se, serves to identify the relative importance of hard power in comparison to other organs of the state and conveys an approximate sense of the size of the military establishments in absolute terms. Factorising its quantum as percentage of overall public spending and of GDP/GNP become important pointers. The distribution of these financial resources provides a preliminary view of the country’s priority of relative threats, its desired structure of combat proficiency, as well as relative power of various military bureaucracies. Similarly, understanding the pattern of disbursement in functional terms, that is, with respect to pay and allowances, operations and maintenance, equipment and systems procurement, and research and development, also provides important information about the health of the country’s military power. Generally budget allocations to a high level of disaggregation and specificity may not be available. Often some states may place a portion of the defence expenditure under different ministry heads to conceal the real size of the defence budget. The size and quality of military manpower reveals the potential of the force. Quantity has a quality all its very own in many, still relevant, combat environments. The size of the total force and the distribution of numbers across tooth-to-tail indicate, if nothing else, at least the relative mass of raw power a country could bring to bear in some combat situations. In a future scenario of information-intensive conflict situations, the educational level and technical proficiency of officer cadres and soldiers will suggest the ability of the military force to absorb, integrate and exploit the kind of sophisticated military technologies now being diffused throughout the international system. Quantitative whenever possible, qualitative whenever necessary – contributes toward evaluating the character of the military manpower pool and its potential effectiveness in combat. The Army’s recent cadre review decision to virtually double the strength of Junior Commissioned Officers (JCO’s) in an Infantry battalion is a myopic administrative arrangement which will not generate any improvement in combat efficiency. Future Infantry actions at tactical levels, with mission-type orders, will require leaders who are physically very fit with an agile, incisive and innovative mind to successfully lead and conduct small team operations. Just adding numbers is not a worthy solution. The Army’s functional ethos needs drastic change. Zero-error syndrome has brought in its wake over-supervision and playing safe. Consequently, initiative is severely curbed down to the lowest level. As Edward Luttwak once stated – “if you paint a cow yellow with black stripes it will not become a tiger! !” To overcome the perennial shortage of officers a new rank in the JCO’s cadre could have been instituted, through a rigorous selection process, as Company Second-in-Command, a rank which could have on the epaulets three stars and the stripe below it. This rank could be empowered to take on all responsibilities including that of initiating the ‘haloed’ Annual Confidential Reports of all JCO’s and Non Commissioned Officers under his command. The Army hierarchy seems to be shying away from adopting such effective forward looking options and is settling for mundane inconsequential measures of adding bulk but not improving leadership and efficiency. There is no mention of the defence civilians who are paid out of the defence budget. There are 6,15,000 sanctioned posts for civilians under the MoD (nearly twice the size of the total Infantry!!). Any reduction in the uniformed defence personnel in the Army HQs these posts will be usurped by a proportionate increase in civilian staff in the MoD!! 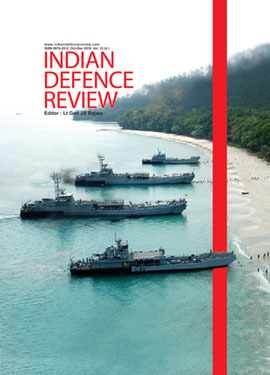 Before transcending to realistic ground situations affecting India’s security a theoretical discourse on strategy may be in order. Williamson Murray and Mark Grimsley have noted that “the concept of ‘strategy’ is notoriously difficult to define.” At its broadest level, military strategy is a process by which a force matches its means (the resources provided to it by the state) to its external problems. Strategy in fact gives substance to “military power” insofar as it asks and links to crucial questions: What are the nation’s security objectives? What are the military’s capabilities needed to achieve them? A states desire for dominance accruing from economic and military strength also affects its strategy. A state with hegemonic tendency or orientation or a revisionist state will develop a strategy that is offensively oriented and maximises its chances of prevailing over the adversary who is most likely to attempt obstructing the attainment of its aims. A state with extensive overseas interests must develop a deterrence-oriented strategy and a power-projection strategy. A state with irredentist tendencies will harbour offensive forces and pose a long term threat. In short, answers to these questions will be the fundamental building blocks for formulating National Security Strategy – something India has found excuses not to formalise. The global situation has transformed to such an extent that today western nations are faced with a limited range of threats from covert aggression, terrorism, and subversion. They do not have any border disputes and are not dealing with situations on a ‘live’ border and infiltration of terrorists. Nor do they have land borders extending over 4000 km in the toughest most rugged high altitude mountainous terrain with two adversaries; 2240 km international border (excluding Line of Control) with a virulent and hostile Pakistan; 1208 islands in the Indian Ocean including uninhabited ones. The two nations with whom India has border disputes are “all weather friends”. A collusive action is, thus, in the realms of reality. All three countries have nuclear weapons; Pakistan and China have also developed low yield nuclear weapons (Tactical Nuclear Weapons). Therefore strategies adopted by any other developed western country cannot be cut and pasted as a template to formulate Indian military strategy. Historically, India has tended to be restrained and overly defensive in response and this political ethos is unlikely to change. 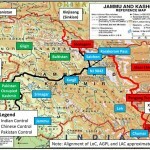 Specifically, the dispute on the northern border relates to China’s claim of Indian territory of Arunachal Pradesh, and the illegal occupation of Indian territory in Aksai Chin, besides smaller claims all along the Line of Actual Control. With Pakistan it is the illegal occupation of the territory of Jammu and Kashmir. The Indian Ocean covers a surface area of 70.56 million square km with 1208 islands that are vulnerable if not included in the strategic security planning. India’s defensive posture and the tendency of strategic restraint implies that a large force is required to occupy strong defences along these extend frontiers ab initio. This reality cannot be brushed aside by ardent proponents of flashy Rommel and Guderian type manoeuvre concepts of WWII. In fact, manoeuvre in the mountains is achieved through reserves positioned well forward. To expect strategic reserves to be launched well after outbreak of hostilities and conduct some operational or strategic level of manoeuvre in these high altitude areas from their bases deep in the hinterland in the plains is a preposterous notion – this, therefore, questions the strategic veracity of having constituted a mountain strike corps!! The manoeuvre enthusiasts support deep thrusts operations into Pakistan across the International Border and seek to destroy its mechanised reserves. They live in a make believe world and are hallucinating. The political aim and military aims are not in sync. Destruction of the adversaries’ mechanised reserves, even as an indirect action to draw in most of its reserves, will not quell or end terrorism emanating from Pakistan Occupied Kashmir (POK) or in any way facilitate recapture of POK. Even if Pakistan is not able to utilise its low yield nuclear weapons, that it openly threatens to do, it has the capacity to unleash a volatile hybrid war in this region – like the one Coalition Forces were confronted with after the second Iraq war. The situation that the USA is confronted with today is aptly stated by the former Deputy Secretary of State in the Bush Jr’s Administration – “The war we are fighting today against terrorism is a multifaceted fight. We have to use every tool in our toolkit to wage this war – diplomacy, finance, intelligence, law enforcement, and of course, military power – and we are developing new tools as we go along”. Richard Lee Armitage. India is faced with the double whammy of terrorism and conventional threats, ipso facto, India needs manpower and more. So with the type of threats the country faces, it is the government which has to decide how it will tackle it. 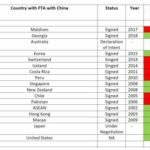 Some of the questions that arise are – Is there an intent to recapture Aksai Chin? To defend Arunachal Pradesh what is the optimal level of force that will deter any attempt by an adversary to capture even a small portion of this territory? 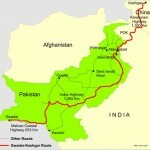 Does the government intend to recapture POK? Are India’s strategic frontiers coterminous with the LAC/LC? Is the government prepared to undertake pre-emptive strikes across the LAC/LC as a threat builds up? Will the Army be permitted to carry the fight across the LAC/LC in the first instance? Is the government prepared to activate the IB with Pakistan? 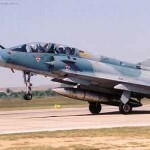 What is the minimum duration of combat that the government wants the forces to be prepared for? Should the forces be prepared for a war on two fronts? Since terrain is in the high mountains is extremely restrictive is there adequate infrastructure to facilitate rapid induction of large quantum of forces and firepower resources? Is lateral sidestepping possible? Are there adequate helipads/Forward Area Arming and Refuelling Points (FAARP’s)/Advance Landing Grounds (ALG’s) in the areas of interest? Are logistic bases positioned well forward? Is there the requisite availability of ammunition (preferably Precision Guided Munitions) of all types and spares for the sustaining intense/moderate operations for at least forty five days? Is the military designed for these tasks? India’s defensive posture and the tendency of strategic restraint implies that a large force is required to occupy strong defences along these extend frontiers, ab initio. This reality cannot be brushed aside by ardent proponents of flashy Rommel and Guderian type manoeuvre concepts of WWII. In fact, manoeuvre in the mountains is achieved through reserves positioned well forward. Considering the above, scope of reducing personnel is naught. The governments in power have always shied away from taking substantive holistic steps to mitigate the problem. World over, to maintain a youthful profile of the defence forces (particularly the Army), the military personnel are side-stepped to the central reserve police forces like the National Guards/Militia and Border Guarding Forces on live borders. It is a pragmatic system since it saves on direct recruitment into these forces, training requirement, payment of pension to the military personnel and it ensures a better coordination and synergy of uniformed forces in the country. As claimed, there are 60,000 army personnel retiring every year. It will mean a saving of a substantial amount which is paid lump sum as gratuity, leave encashment and commuted pension every year. Parallel to this is compulsory service in the Army by all those selected for the Central Service Cadres. This matter has been brought up in the media and proposed by the Services umpteen times but to no avail. It is no secret as to why such a system cannot be put in place. The recent attempt to resurrect the Strategic Policy Group and infuse additional funds for the National Security Council Secretariat as also integrate the Defence Planning Committee in the national security structure will need to be muscular to get the various ministries out of their insulated silos to coordinate a viable security strategy. For this government it may be an initiative too little too late. There is never any mention of the defence civilians who are paid out of the defence budget. There are 6,15,000 sanctioned posts for civilians under the Ministry of Defence (nearly twice the size of the total Infantry!!). Any reduction in the uniformed defence personnel in the Army Headquarters these posts will be usurped by a proportionate increase in civilian staff in the Ministry of Defence!! If computerisation and technology contributes to reduction in manpower why is it not applicable to departments like Defence Estates Service, Defence Accounts Service, Armed Forces Headquarters Service and Ordinance Factory Board? All the Defence Public Sector Industrial Units should, in fact, shed a substantive number of unskilled and semi-skilled manpower as also manpower that can be replaced with the infusion of robots and automation of the assembly lines. Ironically, these organisations and departments will continue to bloat and add flab while the Army is unilaterally going about shedding so called flab. At what cost? What emerges is that the unique situations and types of war the Indian Army will be called upon to fight, it can ill afford to reduce boots on ground. In possible future war scenarios, the mechanised strike corps will play a very limited role and will be redundant in any limited and controlled conflicts in the future – notwithstanding the sentimental clamour and claim to the contrary by the ardent supporters of archaic deep thrusts and pincers. Not to miss the glamourous 61 Cavalry, which has no tanks but horses!!!!?? Powerful well integrated mechanised battle groups with supporting combat support operating directly under the theatre command headquarters are more likely to deliver in combat. Getting over the Maginot Line Syndrome all along the border is a must. The need is to hold defences with minimum forces and build/locate strong reserves at every level – brigade upwards. Decentralise command and operate on mission orders and mission-type tactics as the basic functional method. Small team operations and small team leaders are the crux at the point of the bayonet; a 45 year old JCO does not have it in him to deliver, and is the reason why side-stepping is necessary. Since the main reason for the Army to undertake to resize is the Defence Budget, it is time the Ministry of Defence get its act together to drastically reduce its civilian personnel too. Expectedly, the present civilian political leadership has the gumption to take major far reaching decisions in the nation’s interest – side-stepping of military personnel into the Central Police Forces should be institutionalised and a policy formalised in that all candidates selected for the Central Civil Services are mandated compulsory military service – it is now or never ever. It is time that the Nation is put first above all else at least once!! Defending India: Buying Land for Defence Works!! Thank you all those who have read this article and cared to comment on it. The article is a confirmation of the authors ground experience which has culminated in a logical counter to the subject of resizing/restructuring. He has validated his rationale by incorporating various examples of nations world wide. The General has penned his concept after considering our adversaries , budget allocation , def civilians and situation in the hinterland for suggesting a framework within the existing resources rather than photocopying nations whose requirements are in variance with our own. A must read article relevant in the present scenario. Very apt and thought provoking article. It is quite worrying to note the govt decision to reduce the stregth of Army while neglecting the overall mil strategy to counter the combined challenge posed by sinopak nexuscoupled with terrorist threat and internal disruptions. India needs to drastically upgrade its defence budget, have sidestepping policy of mil pers in the police/ paramil force to keep up mil str as well as youn mil profile. The control over mil matters by mil men is also need of the hour. The country can neglect these issues only at its own peril. Interesting and we’ll researched article bring out some factual issues and points . Excellent article which the powers that be will look askance at – not even read. The military, particularly Army, Chiefs have allowed themselves to be shackled by the bureaucrats and the polity that thinks police will suffice to cope with security threats. Finances and politics for self-aggrandizement appear the sole considerations. The next budget allocation may be even less, calling for more and more manpower cuts while the civilian part will go n bloating – recipe for suicide. But when the crunch comes, those responsible for the present mess would be enjoying power in gubernatorial posts.